Kick-start Christmas with glamour and swing – plus a chance to win free tickets. A North East band who’ve performed around the world as well as for stars including Alan Shearer and Ant and Dec are bringing their unique swing show to Sage Gateshead this Christmas. The Great American Songbook ‘Sisters of Swing’ event on 1 December promises to be a glamorously entertaining night, guaranteed to kick-start the festive season in style. 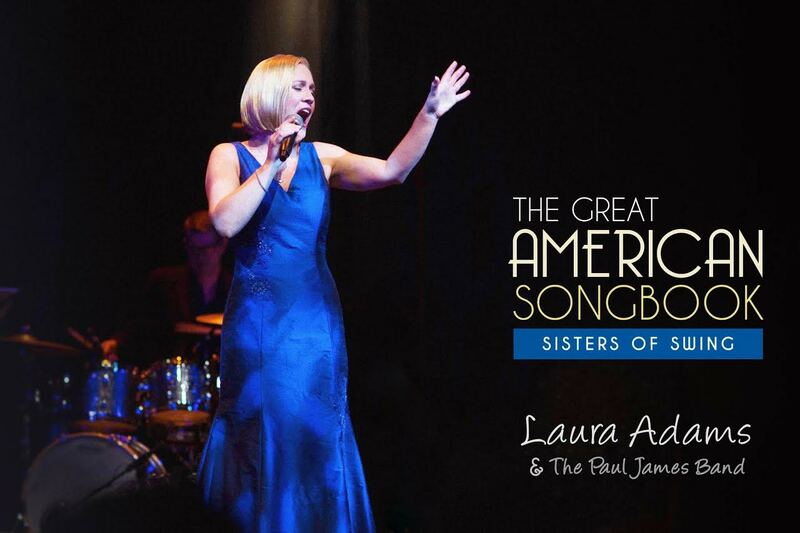 Laura Adams and The Paul James Band have already taken the glitzy show around the globe and now they can’t wait to present it to their fellow Geordies. The ‘Sisters Of Swing’ show is a tribute to the inspiring ladies who left a legacy of great swing music including Ella Fitzgerald, Sarah Vaughan, Peggy Lee and Nina Simone and features Great American Songbook classics such as ‘The Lady Is A Tramp’, ‘Cry Me A River’ and ‘At Last’. Laura and the band will also be swinging into Christmas with festive favourites such as ‘Have Yourself A Merry Little Christmas’, ‘The Christmas Song (Chestnuts Roasting)’ and ‘Winter Wonderland’. Laura has enchanted audiences on board cruise ships, in theatres and at top venues across the UK. She’s also performed at celebrity weddings and high-profile charity balls with clients including Ant and Dec, Marco Pierre White, Anton du Beke and Alan Shearer. To see a preview of the show, visit the band’s Facebook page at www.facebook.com/pauljamesband. The band is offering a pair of free tickets to one lucky reader. To be in with a chance of winning, email your name and telephone number to info@pauljamesband.co.uk or ‘Share’ and ‘Like’ the band’s Facebook page www.facebook.com/pauljamesband before Monday 21 November. Proceeds from the night will go to Macmillan Cancer Support.